Amanda Netburn, a PhD. candidate at Scripps Institution of Oceanography, co-taught Kearny High School (School of International Business) earth science students this year, and brought a tremendous amount of great science insights into the classroom. 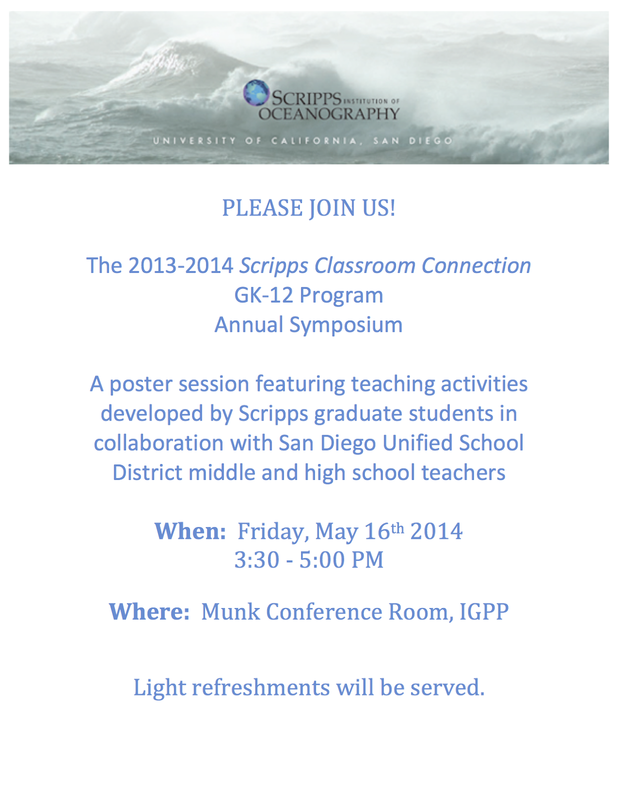 On Friday, May 16th, Amanda will present the mesopelagic biome lessons we co-developed during our time in the GK-12 Program.